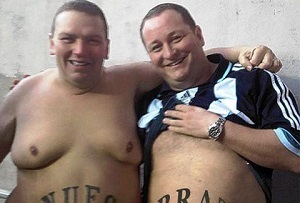 The Sports Direct owner gets 'on-going' security over Rangers assets, in exchange for a loan to keep the club afloat. There are many forms of power. Billionaire Mike Ashley may only have 8.9% of the voting rights at Rangers football club, but his influence reaches far deeper, into the bowels of the business: its balance sheet. Rangers announced today that it accepted a £10m loan from Ashley’s Sports Direct to restore the club finally to financial health, but such help comes at a cost. To secure the loan in the event of a default, Sports Direct is getting the keys to Murray Park training ground, Edmiston House and the Albion car park. It also gets security over Ranger’s brand trademarks, and a ‘floating charge’ over some of its other assets, which essentially gives it the right to cherry pick the asset it wants if the club defaults. As if that wasn’t enough, Rangers also threw an additional 26% stake in their merchandising joint venture, Ranger Retail Limited (RRL) and two more board positions for Ashley's nominees, for the duration of the loan. Last but not least, RRL (now 75% controlled by Sports Direct) will get the proceeds from shirt sponsorship from 2017-18 onwards, while the loan lasts. Not a bad haul. What the club didn’t offer was its pride and joy, the Ibrox stadium. Ashley had filed notice with the Register of Scotland for Sports Direct to be put on the deeds for the stadium, but the offer of a similar loan without security over the Ibrox from the ‘Three Bears’ consortium of wealthy fans (Douglas Park, George Letham and George Taylor) probably forced him to give it up. The Three Bears’ offer had given Rangers an apparent choice for who they wanted to ‘help’ them, but it’s not surprising Ashley triumphed, given that the board is full of his allies and appointees. Matters might not all go Ashley’s way, however. Rival Dave King has called for an emergency general meeting to purge the current board of its pro-Ashley elements, and with the support of the Three Bears and numerous ‘anti-Ashley’ shareholders, he’s got a fair chance of success. Perhaps that’s why Ashley wanted to be able to appoint two new board members as part of the current deal, so that in any new board he’d still have a say. Even if Ashley loses direct control over the board, the nature of this loan and the securities attached to it mean his influence is here to stay. The loan itself comes in two halves – a £5m tranche for immediate finance and to pay off part of Ashley's £3m loan from last year (£1.6m will already have been paid off before the loan comes into effect through a special dividend), and a further £5m if the club needs it and Sports Direct is satisfied with the due diligence. While the second £5m has a five-year repayment window, the first has no time limit. This means that until Rangers pulls itself together as both a profitable business and a successful football club, Mike Ashley will have it by the purse strings. The complex tactics and sudden pace of football's board room deals seem perfect for Ashley's approach to business - could he be involved with Rangers for the challenge, rather than its assets? If so, it could be a long, long time before Rangers gets out of his debt.